What is your secret weapon in your nail art arsenal? I add a layer of base coat to my nails to avoid staining. Then using my nail art brushes I mix the colour I want then slowly begin to build up the colour in layers, until I get a nice opaque look. This time I decided a fishy look would be fun. So I mixed up a little orange and fashioned myself a goldfish. 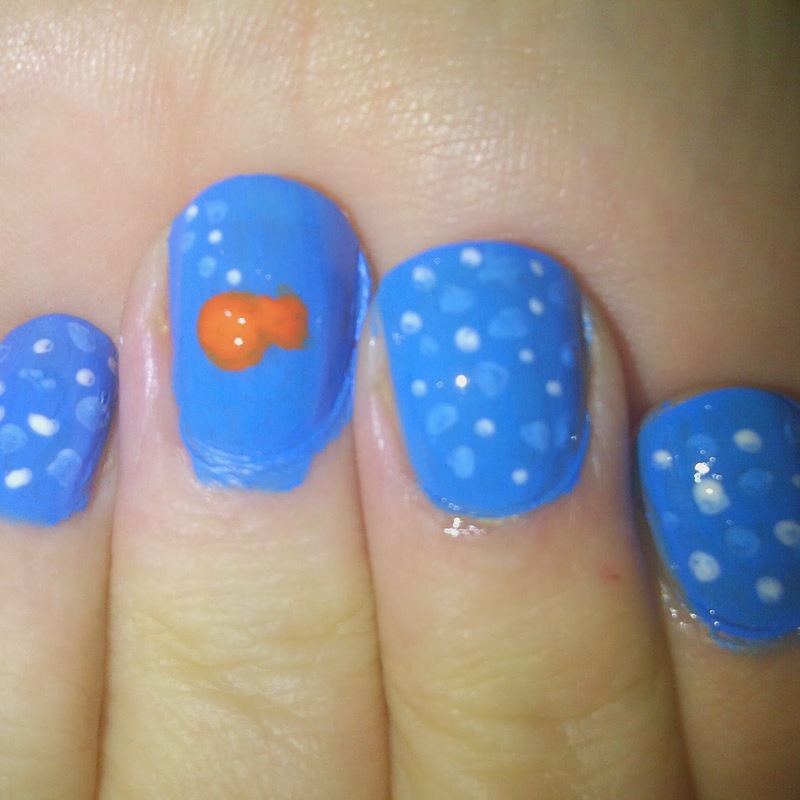 The rest of the nails I then added spots for bubbles in white and a light blue. I finished the look with a couple of coats of top coat which gave it a glossy finish.